For years, Gregory S. Genetti, CPA has been providing quality, personalized financial guidance to local individuals and businesses. Our expertise ranges from basic tax management and accounting services to more in-depth services such as audits, financial statements, and financial planning. Gregory S. Genetti, CPA is one of the leading firms in and throughout the area. By combining our expertise, experience and the team mentality of our staff, we assure that every client receives the close analysis and attention they deserve. Our dedication to high standards, hiring of seasoned tax professionals, and work ethic is the reason our client base returns year after year. Our mission is to help clients maintain financial viability in the present, while taking a proactive approach to achieve future goals. This requires open communication to reach an understanding of our clients' needs through research and sound analysis. Gregory S. Genetti, CPA is dedicated to meeting these goals with high standards of excellence and professionalism. We have been a staple of the area's business community for years, and pride ourselves on the level of esteem we have earned. Our dedication to hard work has earned the respect of the business and financial community in and around the area. We believe this to be a direct derivative of our talent and responsiveness to our client base. Whether you are a current or prospective client, rest assured that individuals and businesses who choose Gregory S. Genetti, CPA receive competent and timely advice. Greg specializes in individual and business taxation, including corporations, partnerships and LLCs. He also assists his clients with business entity selection and organization, tax planning, estate and trust taxation and planning, financial statement review and compilation and business valuation. He began his career with Pearson, Del Prete & Company in Palo Alto in 1985, and later started his own practice in Los Gatos in 1992 and merged with Lanier & Madej CPAs in 1999 later LMGW. He is a graduate of San Jose State University and is involved in the community as treasurer of the Lupus Foundation of Northern California and a past treasurer of the Serra Club of San Jose. Greg’s personal interests include spending time with his wife and children and participating in outdoor activities such as hiking, water skiing, and snow skiing. Kelly has been in the accounting industry for over 20 years. She received her enrolled agent license (EA) to be a tax professional in 2003 and graduated with an A.A. in Accounting from Foothill College in 2002. She began her accounting career working for a shipping brokerage firm in Campbell and in 1992 became an accounting manager for Bellarmine College Preparatory in San Jose. 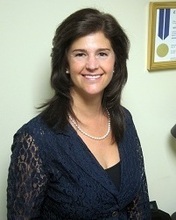 In 1999 she started her tax profession with LMGW CPA in Saratoga and in 2011 continued with Greg Genetti in Campbell. Her services include individual and business taxation, tax planning and consultation, government correspondence, bookkeeping and financial statement preparation. She is a member at Betherl Lutheran Church of Cupertino and served as a volunteer for youth group and community service programs, and is currently on their finance audit committee. Kelly also volunteered her time at Santa Clara High School and their PTA group. When Kelly is not working, she enjoys spending time with her family. They love to travel, cook, garden, hike, snow ski and do water sports of all sorts.